Indian food is famous for being rich in spices and flavors. The Koh-i-noor is the best place in Amsterdam to experience the best of this delightful cuisine. Here, you will be treated with utmost warmth as a comprehensive list of yummy dishes awaits you. Garlic naan, papad, chole, paneer which is almost the staple diet of any Indian is cooked up to the mark. With Indian songs in the background and dal makhni on the table what more do you want? 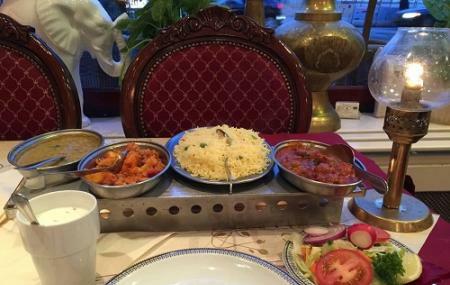 The non-vegetarian dishes are simply to die for as lamb saag, chicken tikka are just wow. For true Indian flavors and to spice up your taste buds, Koh-i–noor is definitely a gem in the city. Use Amsterdam trip planner to visit Koh-i-noor Restaurant and many others to your visit. Generate executable plans on your own or book the top rated Amsterdam vacation packages for your visit. Read more on how to reach Amsterdam. This is the best indian food I ever ate. Bit high price, but it's in the tourist trap core, so that is understandable. Friendly and helpful staff. We visited this restaurant during a weekday this week. We were told that we have to place order whatever we wanted at once. They will not be able to serve the table again. This was so surprising even it was quiet. Very dissatisfied with the services. The portions are too small. I would give them 1 out of 5. Very bad place. Owner or the manager i dnt know who he was thinks he is the prime minister of netherlands. Pathetic place with unprofessional behavior towards customer.Moreover, he is a pakistani earning money by telling all the people this is an indian restaurant. Hiding his identity shameful guy.